A 3-session series based on the work of Dr. Elaine Aron and Dr. Patricia Zurita Ona - this advanced series is designed for those who have taken the beginner's series or already have some knowledge of Dr. Aron & Ona's work. Are you easily over-stimulated and/or emotionally sensitive? 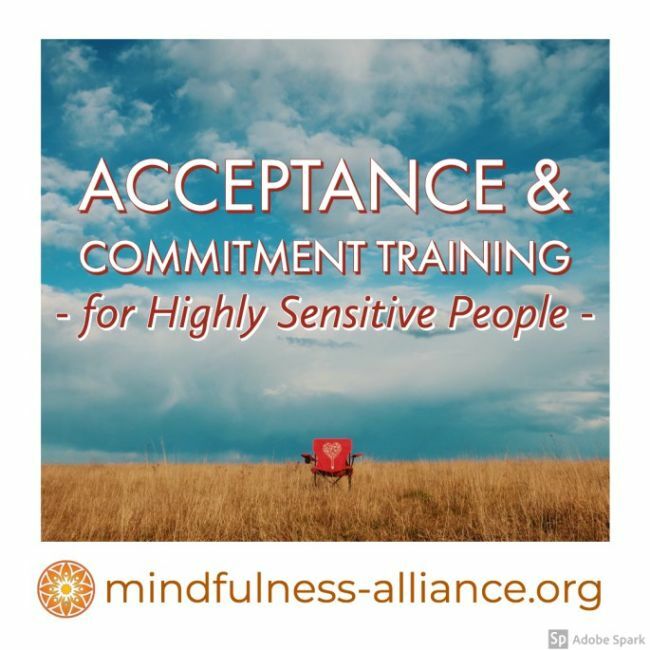 This course will expand upon the tools of ACT for cultivating emotional agility, equanimity, and psychological flexibility that can help you cope in a frenetic world.